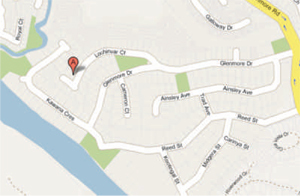 The iPointPT unit uses the GSM mobile phone network and satellites to trace its location to within metres. The unit is not much bigger than a matchbox, so it is discrete and durable, and can easily be connected to battery power, eliminating the need for recharging, or operate on it’s own battery. As the system is totally self reliant and self managed, there is no need for third party monitoring services, which means no ongoing service fees other than the cost of text messages to and from iPointPT unit. The real time tracking function allows you to progressively track movements, direction and speed, perfect for stolen vehicles. An SOS emergency button sends an SOS message to all authorised numbers with the exact location, great for lost children. 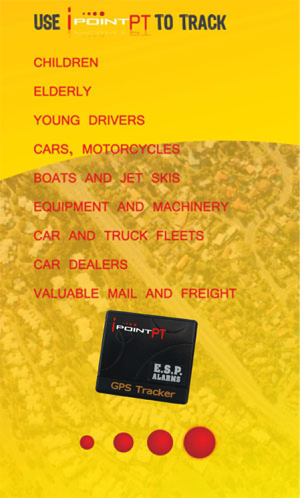 You can easily program your iPointPT unit for any tracking purpose. Using your mobile phone you can send instant text message commands to the unit. The unit will send a text message to up to 5 authorised phones to track any movement you wish. It will provide precise GPS coordinates and you can track the location using any computer or mobile phone connected to the internet via Google Maps or Google Earth.